AC/DC’s 1990 classic, “Thunderstruck”, was used by hackers of the adultery website Ashley Madison to alert company employees of the incident. Billboard reports Toronto Police handed out lyric sheets to the song to journalists at a press conference on Monday that revealed when Avid Life Media employees logged into their computers on July 12 they were greeted to a message from hackers accompanied by AC/DC's "Thunderstruck." Lyrically, the hit song is about finding yourself "caught in the middle of a railroad track" after a wild night of partying with women. "You've been thunderstruck," goes the chorus. While the band had nothing to do with the hacks, the incident made headlines after hackers compromised the privacy of over 33 million accounts. Avid Life Media is offering a $500,000 reward to anyone providing information leading to the prosecution of the hackers behind the invasion, known as the Impact Team. 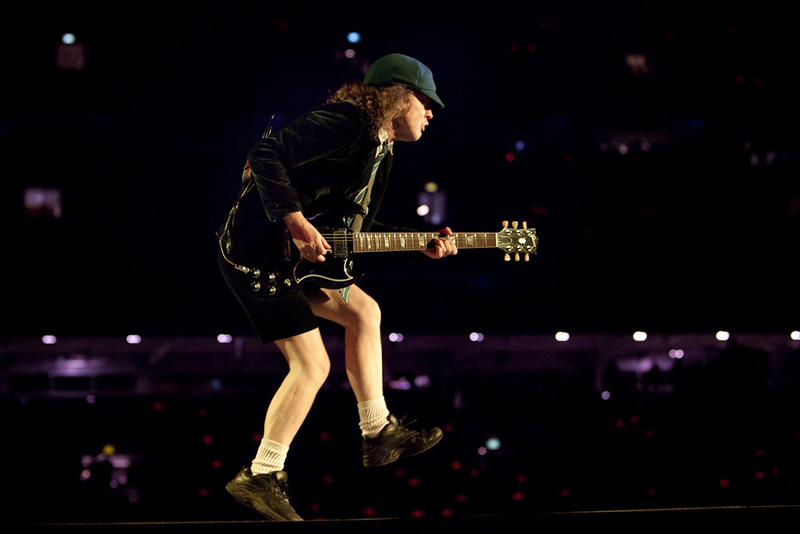 AC/DC, meanwhile, kicked off the North American leg of their Rock Or Bust world tour at Gillette Stadium in Foxborough, MA outside of Boston on Saturday. The 14-date late summer/early fall run will wrap up at Dodger Stadium in Los Angeles on September 28.